New York prosecutors were preparing a case. Then the D.A. overruled his staff after a visit from a top donor: Trump attorney Marc Kasowitz. This article is a collaboration between ProPublica, WNYC and The New Yorker and is not subject to our Creative Commons license. Hear the audio version of this story on WNYC. 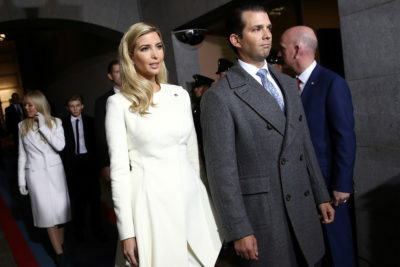 In 2010, when the Major Economic Crimes Bureau of the D.A.’s office opened an investigation of the siblings, the Trump Organization had hired several top New York criminal defense lawyers to represent Donald Jr. and Ivanka. These attorneys had met with prosecutors in the bureau several times. They conceded that their clients had made exaggerated claims, but argued that the overstatements didn’t amount to criminal misconduct. Still, the case dragged on. In a meeting with the defense team, Donald Trump, Sr., expressed frustration that the investigation had not been closed. Soon after, his longtime personal lawyer, Marc Kasowitz entered the case. 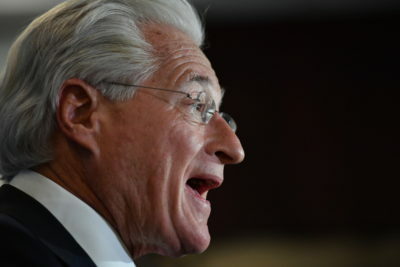 Kasowitz, who by then had been the elder Donald Trump’s attorney for a decade, is primarily a civil litigator with little experience in criminal matters. But in 2012, Kasowitz donated $25,000 to the reelection campaign of Manhattan District Attorney Cyrus Vance Jr., making Kasowitz one of Vance’s largest donors. Kasowitz decided to bypass the lower level prosecutors and went directly to Vance to ask that the investigation be dropped. On May 16, 2012, Kasowitz visited Vance’s office at One Hogan Place in downtown Manhattan — a faded edifice made famous by the television show, “Law & Order.” Dan Alonso, the chief assistant district attorney, and Adam Kaufmann, the chief of the investigative division, were also at the meeting, but no one from the Major Economic Crimes Bureau attended. Kasowitz did not introduce any new arguments or facts during his session. He simply repeated the arguments that the other defense lawyers had been making for months. Just before the 2012 meeting, Vance’s campaign had returned Kasowitz’s $25,000 contribution, in keeping with what Vance describes as standard practice when a donor has a case before his office. Kasowitz “had no influence and his contributions had no influence whatsoever on my decision-making in the case,” Vance said. But less than six months after the D.A.’s office dropped the case, Kasowitz made an even larger donation to Vance’s campaign, and helped raise more from others — eventually, a total of more than $50,000. After being asked about these donations as part of the reporting for this article — more than four years after the fact — Vance said he now plans to give back Kasowitz’s second contribution, too. “I don’t want the money to be a millstone around anybody’s neck, including the office’s,” he said. Last year, The New York Times reported the existence of the criminal investigation into the Trump SoHo project. But the prosecutor’s focus on Ivanka and Donald Jr. and the email evidence against them, as well as Kasowitz’s involvement, and Vance’s decision to overrule his prosecutors, had not been previously made public. This account is based on interviews with 20 sources familiar with the investigation, court records, and other public documents. We were not able to review copies of the emails that were the focal point of the inquiry. We are relying on the accounts of multiple individuals who have seen them. Their partners on the project included two Soviet-born businessmen, Felix Sater and Tevfik Arif, who ran the Bayrock Group, a real estate development firm. Sater had a history of running afoul of the law. In 1993, he was convicted of assault and spent about a year in prison for attacking a man with the stem of a margarita glass in a bar fight. In 1998, he pleaded guilty to one count of racketeering for his role in a $40 million securities fraud scheme. The Trump SoHo was beleaguered from the start: Named for one of Manhattan’s trendiest neighborhoods, the development wasn’t really in SoHo, but located just west of it, near the entrance ramp to the Holland Tunnel. 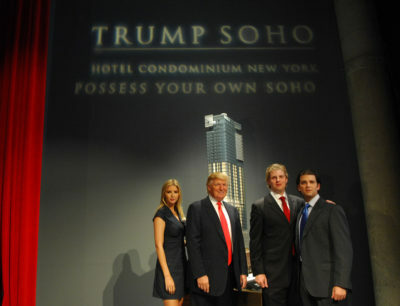 Zoning laws wouldn’t allow a residential tower at the location, so the Trumps fell back on an alternative: a “condo-hotel,” in which buyers got a hotel room rather than an apartment, and were legally prohibited from staying there more than 120 nights per year. Worse, the high-priced condos hit the market in September 2007, just as the global economy began to crater in what became the largest financial crisis since the Great Depression. None of that was true. 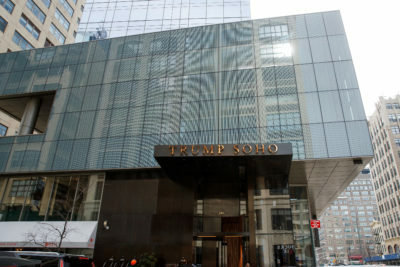 According to a sworn affidavit by a Trump partner filed with the New York attorney general’s office, by March of 2010, almost two years after the press conference, only 15.8 percent of units had been sold. This was more than a marketing problem. The deal hinged on selling at least 15 percent of the units. By law, the sales couldn’t close with anything less. The Trumps and their partners would have had to return the buyers’ down payments. After the civil suit was filed, the Manhattan district attorney’s office opened a criminal investigation. Prosecutors are often wary of getting involved in a dispute between wealthy litigants. But in this instance, according to a person familiar with their thinking, the lawyers in the Major Economic Crimes Bureau quickly concluded that there was enough to warrant an investigation. They believed that Ivanka and Donald Jr., might have violated the Martin Act, a New York statute that bans any false statement in conjunction with the sale of a security or real estate. Prosecutors also saw potential fraud and larceny charges, applying a legal theory that, by overstating the number of units sold, the Trump were falsely inflating their value and, in effect, cheating unsuspecting condo buyers. On the other side, the Trumps’ defense team included Gary Naftalis and David Frankel, of the law firm Kramer Levin; Paul Grand represented one of the real estate brokers who had worked with the Trumps. As the investigation progressed, Vance suffered an embarrassing setback in one of his highest profile cases. In the summer of 2011, his office had abandoned a sexual assault case against the former managing director of the International Monetary Fund, Dominique Strauss-Kahn. Vance, who was pummeled in the press afterward, denied in his interview with us that the case made him reluctant to take on another prominent defendant. A few months later, on Jan. 11, 2012, Marc Kasowitz contributed $25,000 to Vance’s campaign, unbeknownst to prosecutors in the Major Economic Crimes Bureau, who continued their work. Moser was particularly focused on email correspondence, according to seven people familiar with the case. The prosecutors began considering impaneling a special grand jury, according to a person familiar with the investigation. That would have represented a significant escalation in the case, because it is often a prelude to indictments. With a grand jury in place, defense lawyers knew the risk of indictment was high. 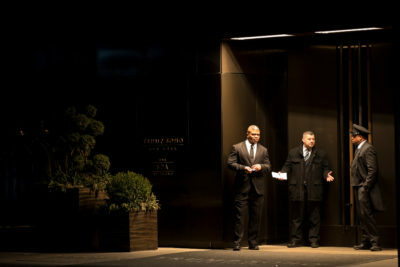 The defense team offered a deal to stave off this possibility, floating the possibility of a settlement of some kind, including a deferred prosecution agreement, which would have meant the corporate equivalent of probation for the Trump Organization. With the investigation appearing to gather momentum, Naftalis and Grand, who had already met with the prosecutors twice, began to step up their campaign against the case. Grand calls this the “internal appellate process.” Particularly when well-heeled or high-profile defendants are involved, there can be a multi-month advocacy process that slowly makes its way up the hierarchy inside the Manhattan D.A.’s office. Grand and Naftalis decided that it would be unwise to go over the heads of the staff prosecutors. Instead, on April 18, 2012, they sent a letter to Adam Kaufmann, then chief of the investigative division (he’s now in private practice), outlining their arguments. The next day, the defense lawyers met with Moser, Kaufmann, and others from the prosecution team. The defense team acknowledged that the Trumps made some exaggerated statements in order to sell the units. But this was mere “puffery”— harmless exaggeration. Such language, they contended, didn’t amount to criminal conduct. The Trumps weren’t selling useless swampland in Florida. The condos existed. And the buyers’ money was in escrow the entire time. Moser’s answer seemed to be “yes,” and he found support among his supervisors. Moser had prepared an elaborate PowerPoint presentation, featuring dozens of emails that prosecutors believed showed that Ivanka and Donald Jr. had repeatedly lied to buyers. “You couldn’t have had a better email trail,” a person familiar with the investigation told us. Adam Leitman Bailey, the attorney for the buyers, had been helping prosecutors. Now he provided aid to the Trumps, writing a letter to the district attorney that stated: “We acknowledge that the Defendants have not violated the criminal laws of the State of New York or the United States.” In our interview with Vance, he said he had never before seen a letter where plaintiffs in a civil case asserted that no crime had been committed. “I don’t think I’d ever received a letter like it,” Vance said. He calls it a “significant and important” communication. Certainly, prosecutors could subpoena the buyers of Trump condos. But they feared the witnesses would undercut the criminal case by claiming they weren’t victims of a fraud. Finally, in the spring of 2012, Kasowitz joined the case. His involvement “came from out of the blue,” Grand told us. He and the other lawyers assumed Kasowitz intervened at the request of Donald Trump Sr. In early May 2012, Kasowitz asked to see the District Attorney. Vance told us such meetings aren’t unusual — but his investigations chief at the time, Kaufmann, characterized Kasowitz’s request as “a little premature.” The Trump lawyer was going over the heads of everyone who had been working on the case. The gathering, on May 16, lasted 20 to 30 minutes, according to Vance. Kasowitz repeated the arguments the defense team had made before. In September 2012, within weeks of the case being resolved, Kasowitz contacted Vance’s campaign about hosting a fundraiser, according to a spokesperson for the campaign. Kasowitz held the event that January. He personally donated almost $32,000 to Vance’s campaign, and 20 of his law firm’s partners and employees kicked in at least another $9,000. Then, in October 2013, as Election Day approached, he hosted a breakfast —“Republicans for Cy Vance” — which raised an additional $9,000. Vance defended his decision to accept the money Kasowitz sent his way. “We did the right thing,” he said, referring to the decision to drop the case. “Another five and a half months go by. Marc Kasowitz has no matter pending before the office for the Trumps or anybody else. It’s 2013 and it’s an election — and I welcome his support.” Vance noted that New York law allowed him to accept such a contribution. Still, he now intends to return the money to Kasowitz. Ivanka Trump is now an adviser to the president, with an office in the West Wing. Donald Jr. is running much of the family empire while his father is in the White House. 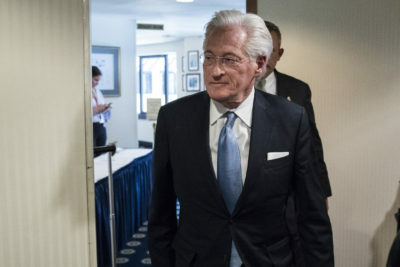 Kasowitz attained national prominence when he was retained to represent the president in the Russia investigation, only to be supplanted as lead counsel. Vance is running unopposed for reelection in November. The Trump SoHo went into foreclosure in 2014 and was taken over by a creditor. Only 128 of the 391 units in the building have sold. That comes out to around 33 percent. Derek Kravitz and Leora Smith of ProPublica contributed reporting to this article, as did Keenan Chen, Alex Mierjeski, Inti Pacheco and Manuela Andreoni of Columbia Journalism Investigations. 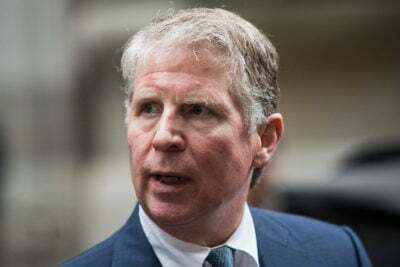 Update, Oct. 16, 2017: District Attorney Cyrus Vance Jr. announced Oct. 15 that he has ordered an independent review of how his office handles campaign contributions and that he will not accept any further donations until the review is completed. The move follows our story about the Trump SoHo investigation as well as renewed scrutiny of Vance’s decision not to charge movie executive Harvey Weinstein for allegedly groping an Italian model in 2015. “I’m prepared to dramatically restrict who can donate money to our campaign — including lawyers — and the amounts that our contributors are able to give,” Vance wrote in an op-ed in the New York Daily News. The 90-day review will be conducted by Center for the Advancement of Public Integrity at Columbia Law School. The recommendations of the center will be made public, Manhattan DA spokeswoman Joan Vollero told ProPublica.